Mindfulness in Action: Simple Steps to Finding Peace in Your Life with this hands-on guide to creating peace amidst the chaos. Are you living a half-experience or a heart-experience? Living mindfully is the courage for self-exploration, self-disclosure, re-creation, and perspective. It’s moving through any fear and taking action. Life’s all a conscious choice. Mindfulness In Action shares author Sharon Sayler’s personal experiences, presented as unbiased as possible, about how to Be Here Now. Walk with grace and gratitude. These days it is so easy to go about the day distracted. It seems as if being unaware of our surroundings is the new norm during the turmoil of current events. 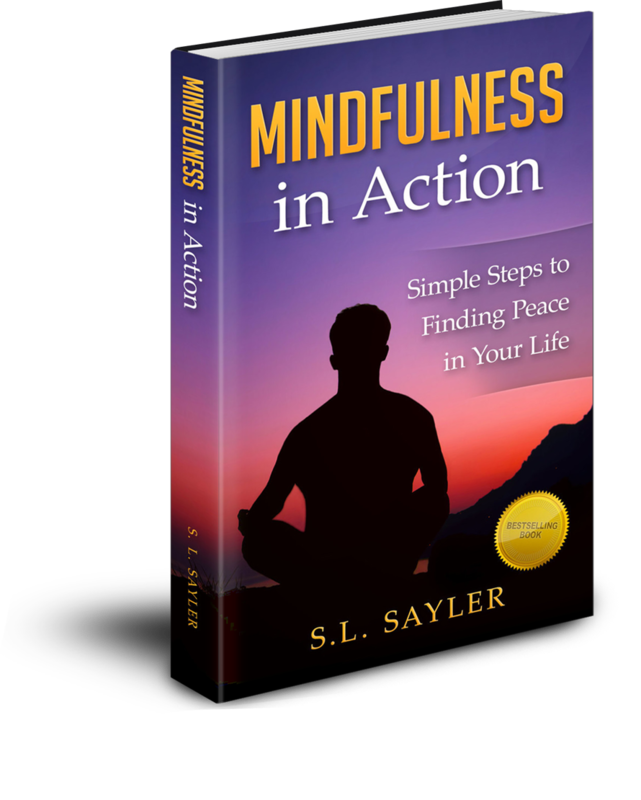 In her new bestseller, Mindfulness in Action: Simple Steps to Finding Peace in Your Life, Sharon Sayler shares, “Mindfulness involves active awareness throughout the day. Active awareness is the simple everyday practice it takes to stay cognizant, aware and conscious. An active awareness mindset isn’t about believing, it’s about Being. It is the enjoyment of all that life has to offer. Through each passing moment of time, either consciously or unconsciously, we change. We get to choose with each moment to be a new, more powerful being, ready to do greater things in the world.”It is the conscious choice to stay in the present moment that breaks us free from our patterns and our instant reactions, allowing us to passionately, mindfully enjoy our life with calm acceptance of each moment.